One of those annoying ‘wars of centuries past’ has put Earth in danger of being crushed by a much larger world, Deart. A magical barrier was created to keep the planets from colliding. That barrier is now weakening, its power source dying. A new power source must be found befire it’s too late! 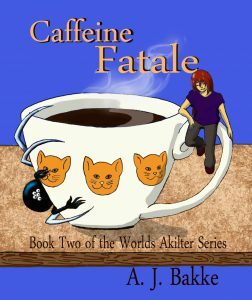 Fate, Destiny, or perhaps merely happenstance choose Kale, a resident of Deart, to fix the problem. About six inches in height, he is far too small for the huge task forced upon him. Surviving the foreign world, Earth, has many complications such as the giant feet of towering humans. 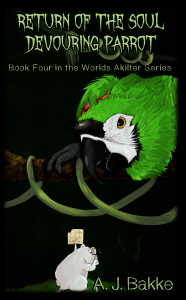 If the soul devouring parrot doesn’t kill him, a mage who can’t control her powers, might. Perhaps with the help of a few unexpected allies, he can make it from one world to the other and back again, alive. And what do cats have to do with anything? Now that she is back on her own world, Deart, Ti decides to return to the home from which she had been unjustly banished. Now she has proof that magic does exist. She has Bree, a mage, who accidentally turned herself into a mouse. She also has Nataniel, another lidra, who grew up in a mall on Earth. Perhaps not the ideal proof, but with that, Ti has hope of being able to return to her old life with her family and fellow lidra again. The Abyss beneath the canopy of the Stone Forest has remained a mystery for centuries to those who live above it. No one who disappeared within those deep shadows ever returned to speak of what they found there. Amiah and her friends set out on a journey that takes an unexpected downward turn, dropping them right into that unfathomable darkness. An inexplicable arrangement of magic brings two of the children Amiah used to be a nanny for into the dubious adventure, leaving them lost with only their loyal dog to protect them. 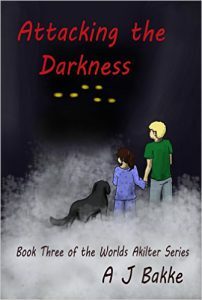 Will any of them make it out of the darkness alive? Cats! Magic! Rampant rutabagas! And…a purple elf? Amiah and her friends get caught in the thick of adventure yet again when they journey to Promise to visit the head mage, Landon. 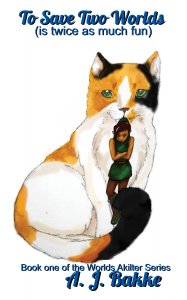 The balance of magic relies on the well-being of cats and vice versa. The Promise of Magic Industries is built upon that formula to optimize power. But when a mysterious force begins upsetting the cats, the magic suffers, so do the mages. 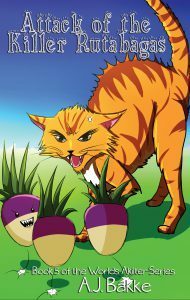 Amiah and her friends are determined to find out what’s going on and help Landon regain control to save the cats and the city from ultimate DOOM.